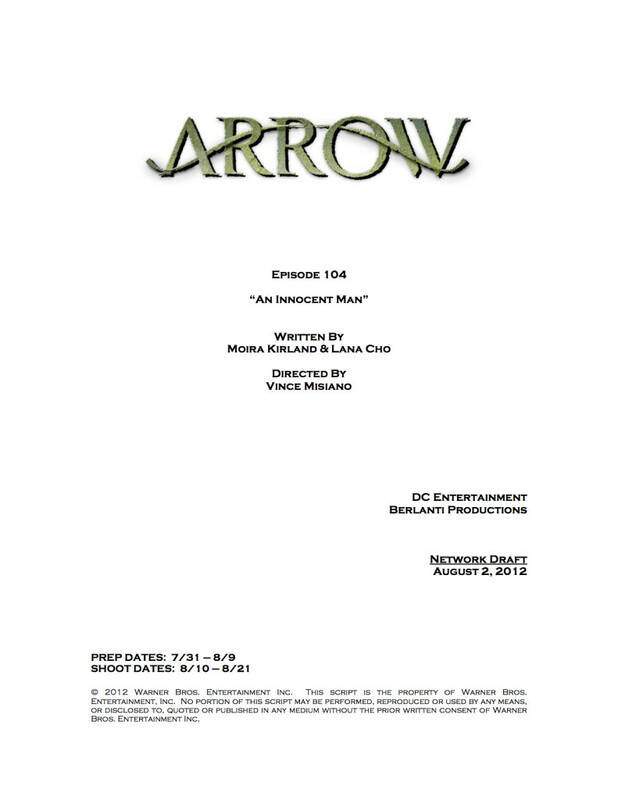 The title of the fourth episode of Arrow, previously broken here on GreenArrowTV last week, has changed. Originally titled “Salvage,” the new title is “An Innocent Man.” The episode is written by Moira Kirland & Lana Cho, and it will be directed by Vince Misiano. To prove this new title is legit, we can exclusively share with you the title page for Episode 4. Enjoy! You can read more [non-ruining] spoilers for Arrow at the GreenArrowTV Arrow Spoilers Page.